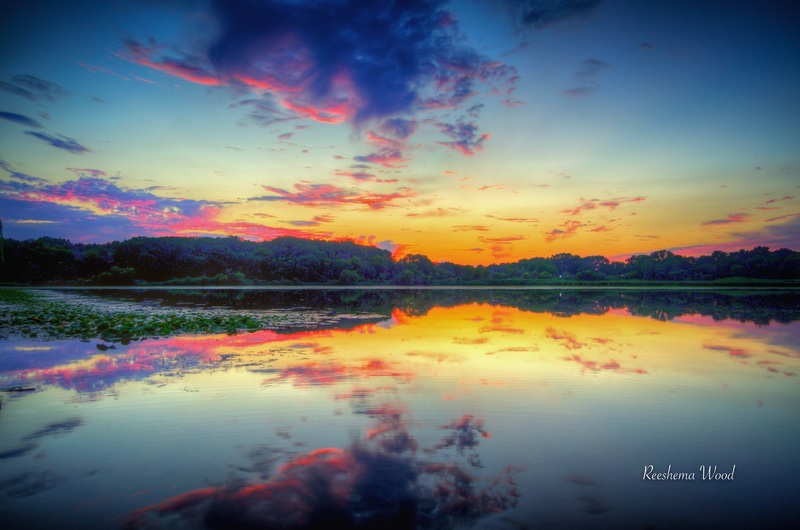 Reeshema Wood's colorful landscape photography from around the Aurora Area caught our attention on Instagram. With her eye for capturing scenes that depict the natural areas of the region as if transformed into a fairytale setting, her images blur the line between painting and photography. 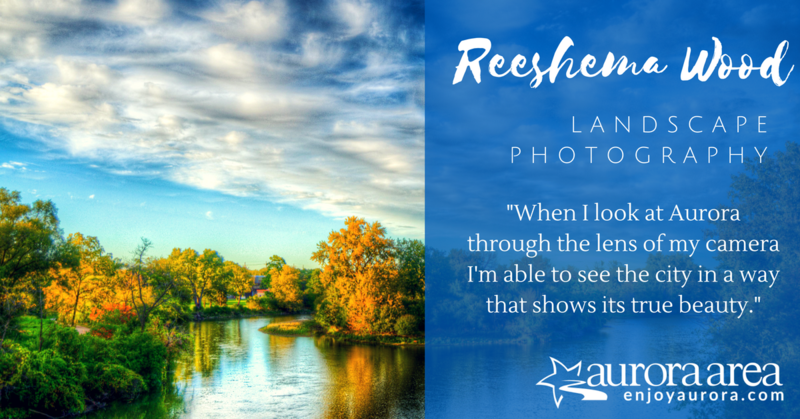 We caught up with Reeshema to learn more about her approach to photography and what she enjoys most about living in the Aurora Area. 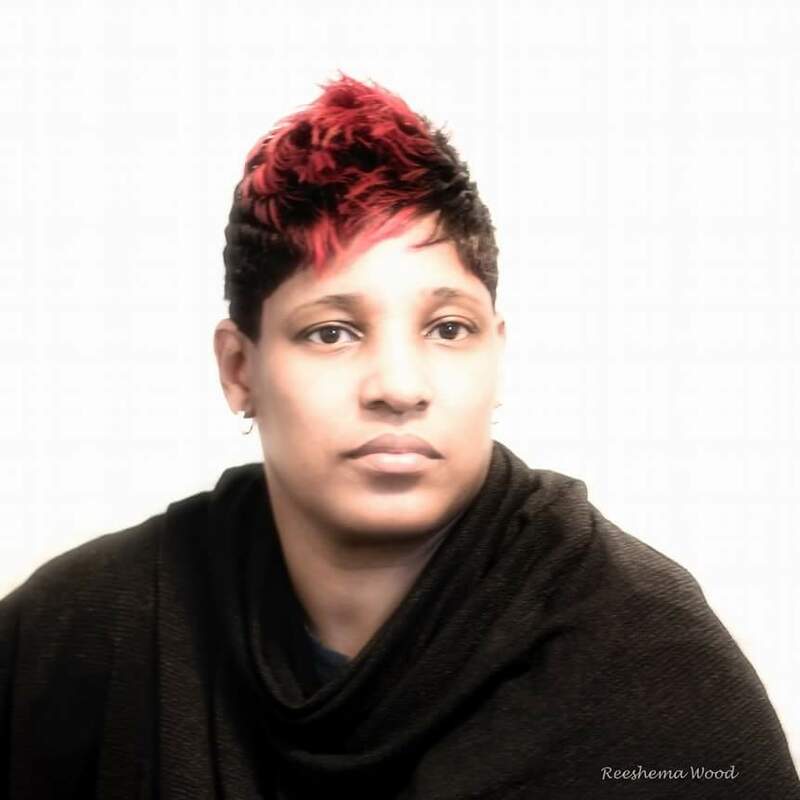 Thank you for taking the time to do this interview, Reeshema. Could you please start off by telling us a little bit about yourself? Do you live or work in Aurora? What else do you like to do here? Yes, I live and work in Aurora. My family moved here when I was entering my sophomore year in high school. I graduated from East High in 1989, so I believe my family has lived here for over 30 years. I am pretty connected to the city of Aurora having lived here for so long, and mostly I really enjoy spending time with my family and friends. My parents and my siblings are all in the area so we always find things to get into around here. I have nieces and nephews that are school age, so we are always at some sporting event, band concert, parade, play, etc. These days you'll find me at East High's football games because I have two kids in the marching band, so I always make sure that I am there to see the amazing halftime show. I am also an active member of Lighthouse Worship Center, which is my church in Aurora. There I get the opportunity to serve and help others, which is something that is very important to me as well. To be honest, I just recently discovered the art of photography a few years ago when I bought my first DSLR camera as a gift to myself for my birthday. What started out as just a personal hobby quickly became a passion. With the capabilities that my new camera offered I began taking pictures of everything, and the more I learned about photography the more I practiced. When I learned about landscape photography, I used the city as my class room. I began exploring Aurora to find images to take, and what I discovered is that I didn't have to travel to some faraway exotic destination to capture beautiful pictures. When I look at Aurora through the lens of my camera I'm able to see the city in a way that shows its true beauty. Honestly I'm a sun chaser, so my favorite time to go out and shoot is at sunset. It is a perfect time to take photos because of the beautiful warm light produced by the setting sun. When I am lucky enough to catch a sunset on a day that has a partially cloudy sky, I get to experience some very beautiful skies that I love to capture from a vantage point that shows the beauty of what is unfolding before me. 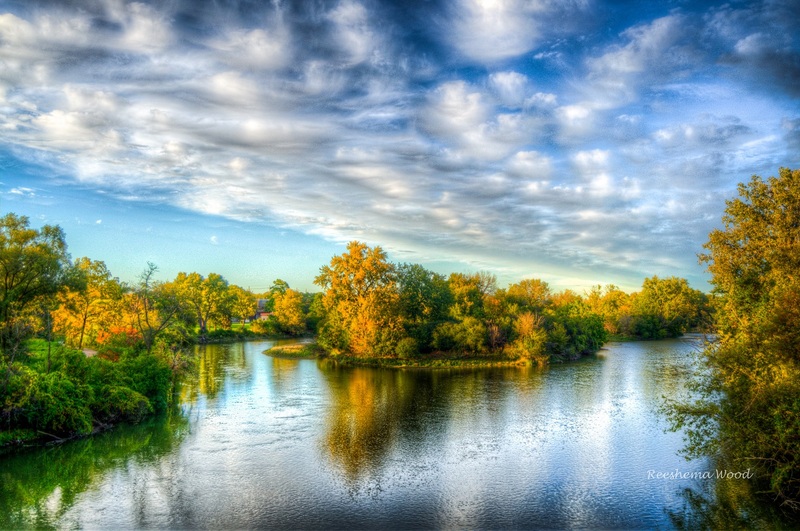 So I usually find myself somewhere near water, which is easy to do around here with access to the Fox River. I also enjoy going to the nature preserves in the area, like Oakhurst Forest Preserve and Barnes Forest Preserve. 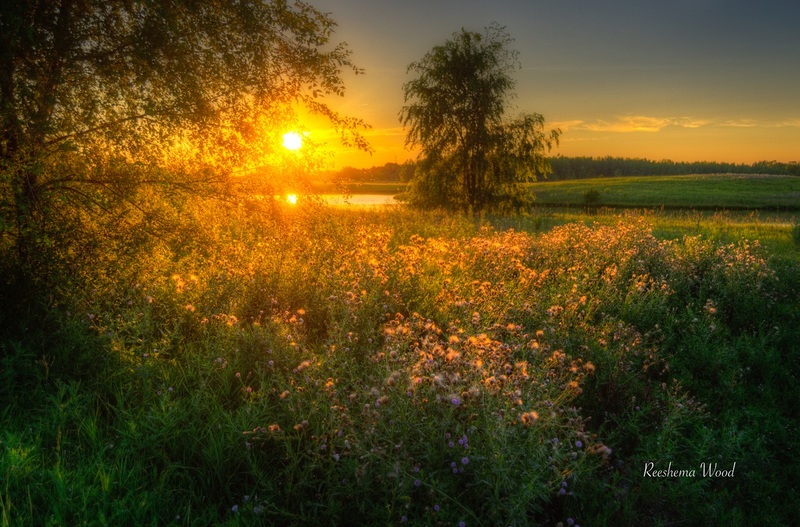 They are an ideal setting to capture the sunset because they have bodies of water, fields of flowers, and trees that I like to use to compose my shot and show off the dynamic sky. What tips would you give someone who was looking to visit the Aurora Area? 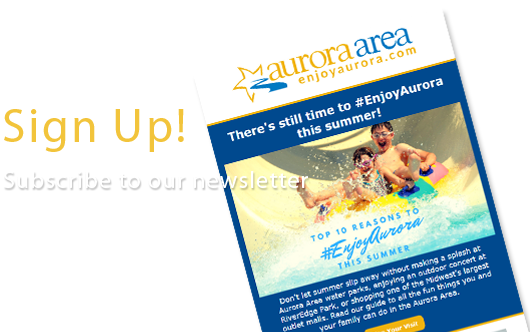 The Aurora Area is a great place to visit with lots of fun things to do. When family and friends come to town they always have to stop by Chicago Premium Outlets for some serious shopping. The Paramount Theatre has awesome plays throughout the year with entertainment for all ages. 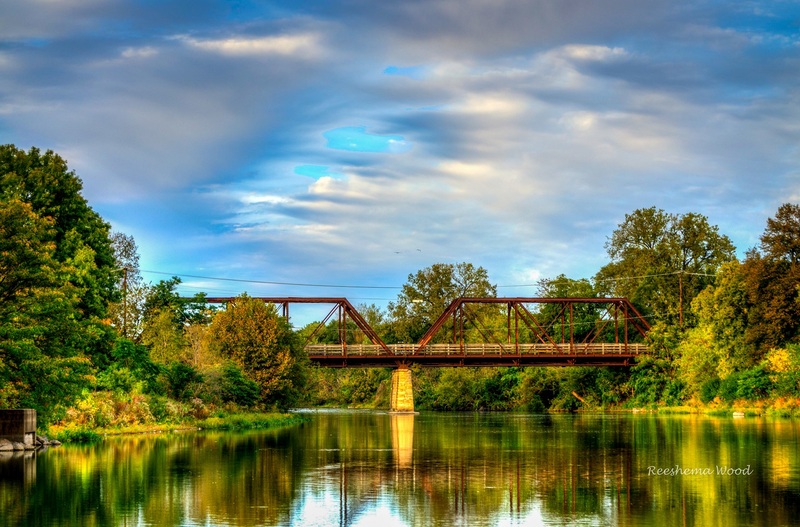 RiverEdge Park is another great venue to visit in Aurora for good music and entertainment. 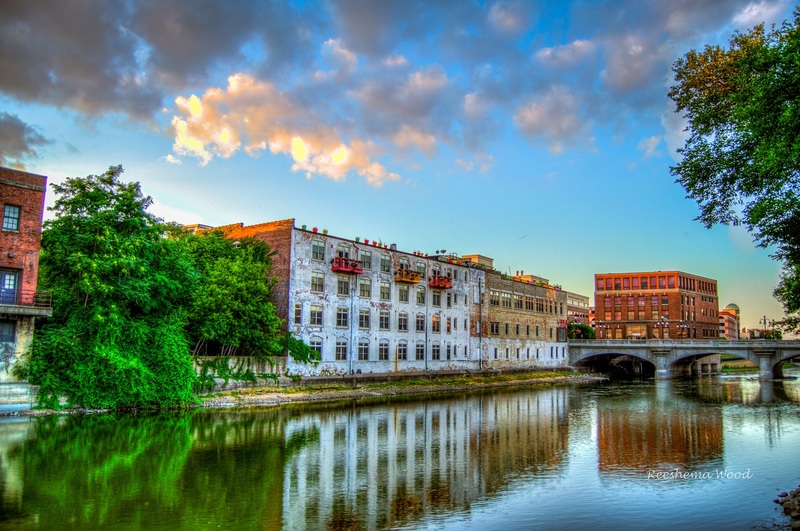 A great way to spend the night out on the town is First Fridays, it's a great way to experience the life of the city. My friends and I love going to Spartan House, my friends and I love the atmosphere and the food is great. My family's favorite holiday to celebrate in Aurora is the 4th of July, from the parade to the fireworks it is always an eventful day in Aurora filled with family fun. To see more of Reeshema's photography, visit her on Instagram at @reeshemawood_photography and her Facebook page. Read more interviews and get trip ideas at the #EnjoyAurora blog.